You don’t need to redecorate your whole space or spend a fortune to create a fresh, more personal feeling at home. 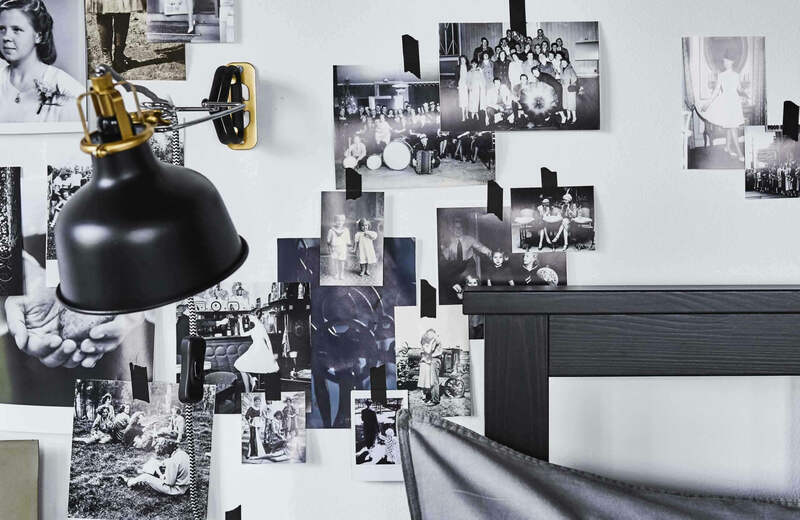 All you need are your favourite photos, a few accessories and bit of handiwork. 1. Shine a light on your holiday snaps. Got the January blues? 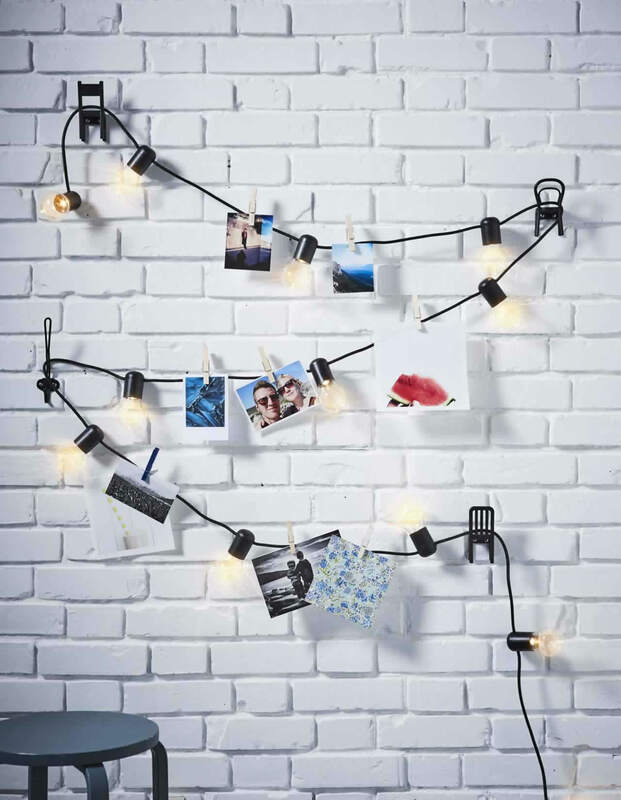 Beat them by putting up photos of your nearest and dearest on a lighting chain. Use pegs so you can easily change your pics around and add to them throughout the year. 2. 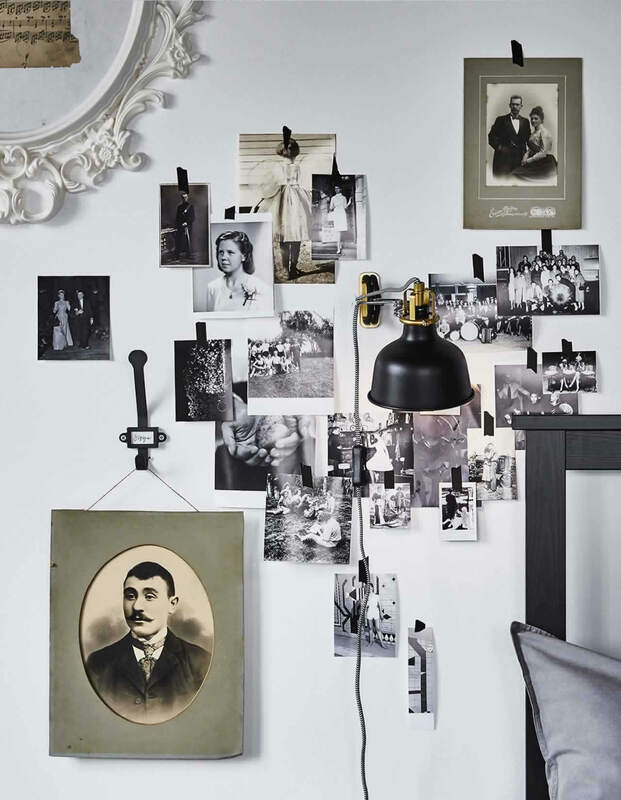 Beautify your bed frame with old photos. Choose around twenty pictures in the same style, such as black and white, for an extra wow effect. Attach them using tape or adhesive putty to form a graphic collage on one side of your bed. Then doze off comforted by past generations. 3. Create an eye-catching photo display. 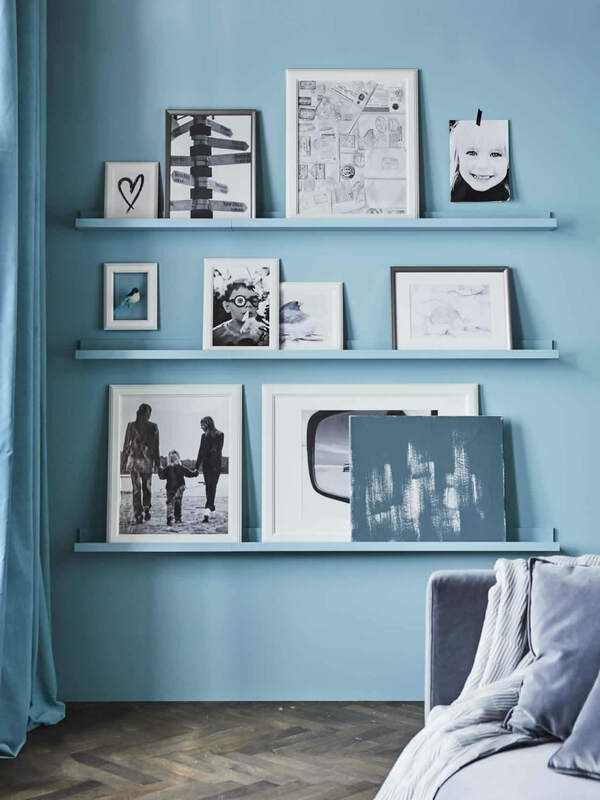 Paint a couple of picture ledges in the same shade as your wall, then attach them using screws. Pick a mix of frames in different styles and sizes. The single colour background means your photos will really pop!